Landing a new job is tough, but it can be especially difficult in the finance industry. No matter when you plan to start job-hunting, there is no better time than now to beef up your skillset and make yourself stand out! We spoke with seasoned professionals in the finance industry and made a list of their top recruitment advice for students. Here are 5 sure-fire things you can do to help you land a job in the financial services industry! Gaining an inside perspective on the finance industry is easier than you think! Leverage your own network of friends, family, and colleagues to learn more about a career in finance and get your foot in the door. After you’ve done that, it’s time to pick up the phone and start cold calling! This may seem scary, but it is a great way to get your name out to the corporations that you are interested in working for. All you have to do is introduce yourself, explain your interest in the company, and ask for a meeting. It may be hard to reach people at the firms that you plan to contact, so remember to stay persistent! Employers will want to see that you have a passion for finance, so set some time aside to become an expert! 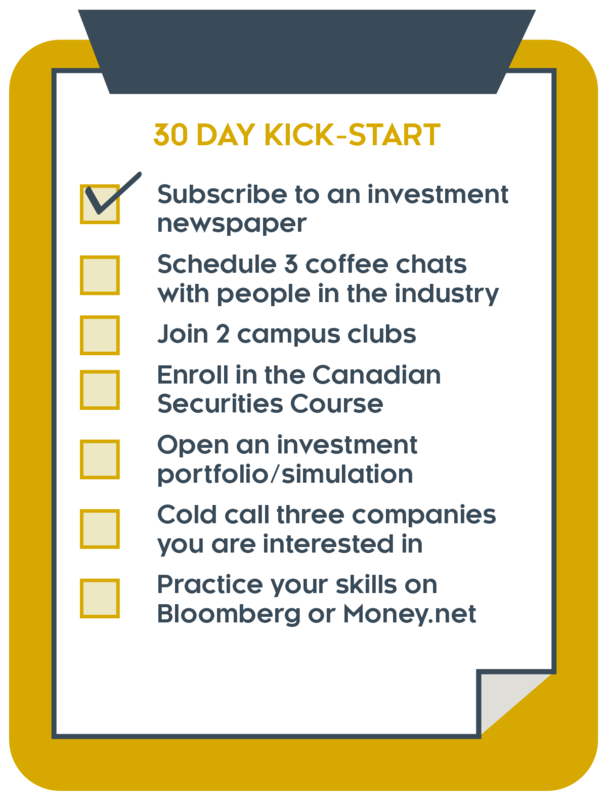 If you haven’t already, enrol yourself in the Canadian Securities Course to build your finance acumen. Employers will be looking to see that you have experience with financial software (such as Capital IQ, Bloomberg, FactSet) and financial modelling courses (such as Wall Street Prep, Marquee Group). If you haven’t read our “Resume” Blog, click here to check it out! It’s time to start learning! This knowledge will look great on your resume and give you a professional advantage when it comes time to job search. They say experience is the best teacher, so the best way to understand the market is to invest! Open up an investment account and start your own small trading portfolio. If you don’t have the means to enter the market for real, a stock market simulator will do the trick! Some great simulations include the Capitalize for Kids Student Challenge, Investopedia, and Wall Street Survivor. Employers will be impressed to see that you are personally invested in the industry and that you can speak about your top stock picks. Read your favourite investment newspapers and blogs to stay current on the latest financial trends as well as learn meaningful insights about the industry. Markets are constantly changing, and remaining in the loop will allow you to develop a strong understanding of why this happens. This will come to your advantage not only for your own knowledge, but also in interviews and on the job. Here are some of our favourites: The Globe and Mail, The Financial Post, The Huffington Post, The Wall Street Journal, Bill’s Buzz, and Market Folly. Don’t spend your time watching the days roll by, now is the time to get to work! Become involved with a campus team, association, or even pick up a part-time job. If you are not already, become a member of your campus’ Finance club! This is something that employers will be looking for. All of this will reflect a strong work ethic, and show that you are exercising your passion in Finance. Some other great ways to do this is would be to write for your school news paper or for Value Walk, taking on a finance role on any campus club, becoming involved with your school’s investment council, or working part-time in the industry as a service representative or a teller. Now you have the necessary tools to break into the finance industry. It may seem like a lot of information, but it is simple to start. 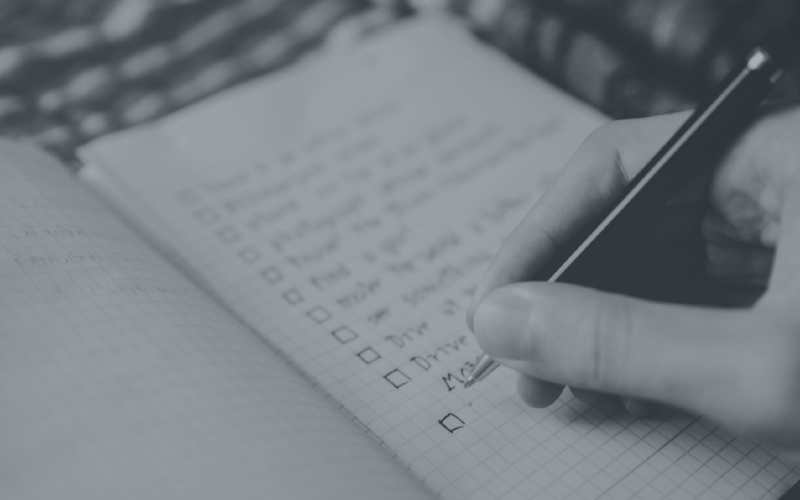 To illustrate just how easy it is, we’ve put together a 30-day checklist to kick-start your journey and land you a job in finance! 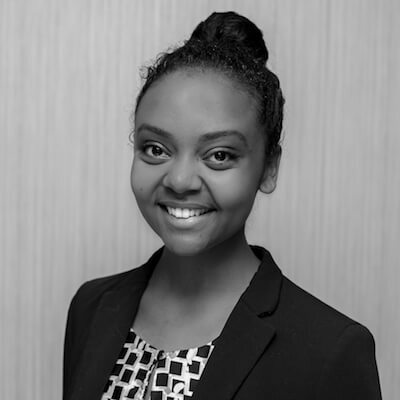 Winta is currently a Capitalize for Kids Intern and is in her final year at Wilfrid Laurier University. Prior to Capitalize for Kids, Winta worked at Uber, PEPSICO, and Miovision.